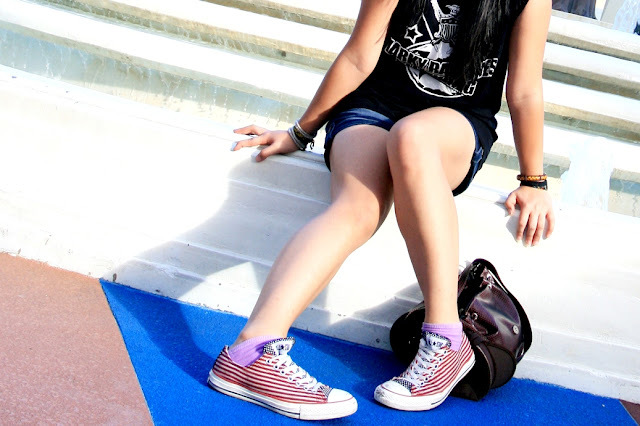 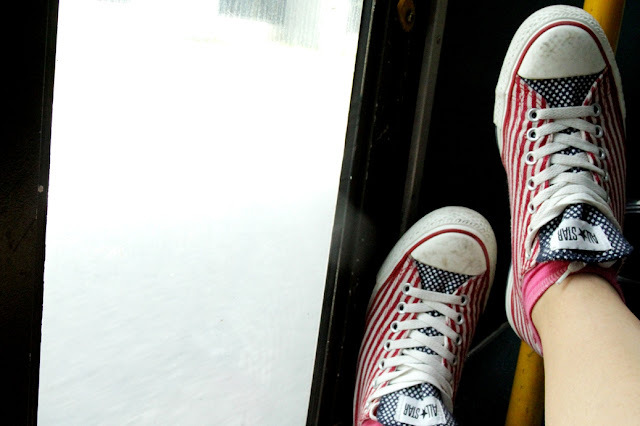 I love converse so much! 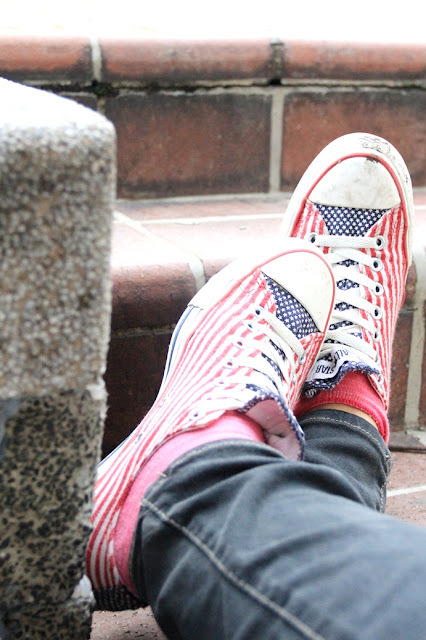 That's why I put converse's sketch as a part of "imajitha" logo above. 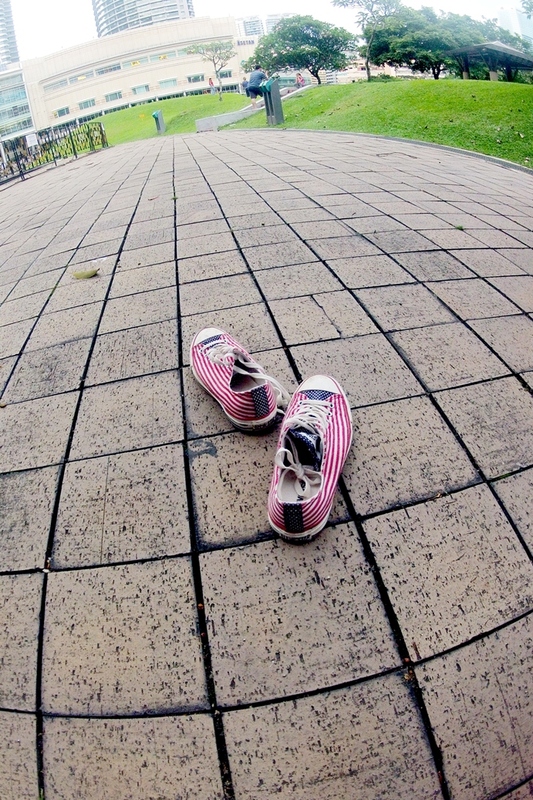 Photos below are my own photographs of my "American Flag" converse except the first one... :D even though these photos looks filthy or 'dekil' in Bahasa :P But I still love my converse!!! 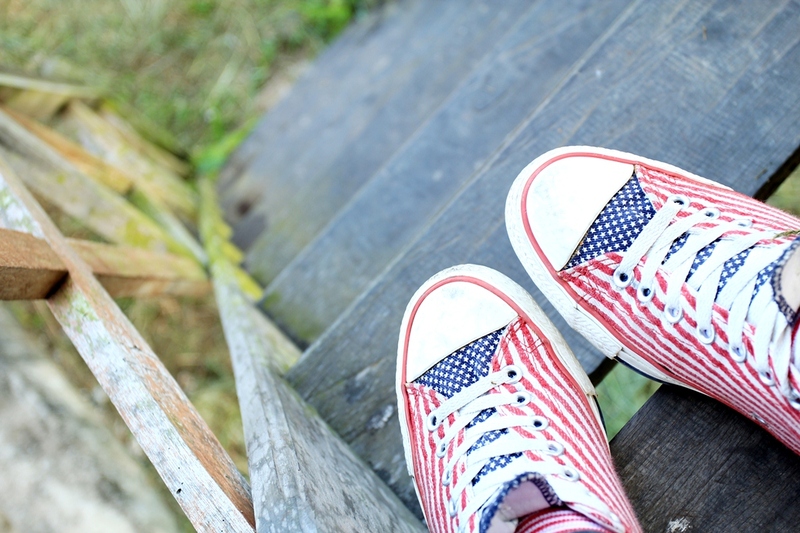 Thanks to my brother - Michael, who gave me this "American Flag" converse.. Thanks to my friend - Kak Atob, who took the first picture in this posting..